Another year has gone by in the journey that is Young's Modulus--and what a year it has been! We launched into 2017 playing Shady Park on Mike's birthday and a rainy January night. In March, we played Tempe History Museum's LOUD VI event with Japhy's Descent and Dead Hot Workshop. We played several shows at Tempe Center for the Arts as well as various shows around the valley, including opening for Kirra and Tantric at The Rebel Lounge. Also, we had the opportunity to appear on Fox 10 AZ Morning and "Laces Untied" was played on ALT 93.3's Homegrown with Mo's segment and won the Friday replay for a chance to play one of Mo's Local Showcases. Momentum was high and we started to track new music, back at STEM Recording, for release in 2018--so much promise! Later in the year and not too long ago, Gary and Ryan made a decision to leave the YM lineup. 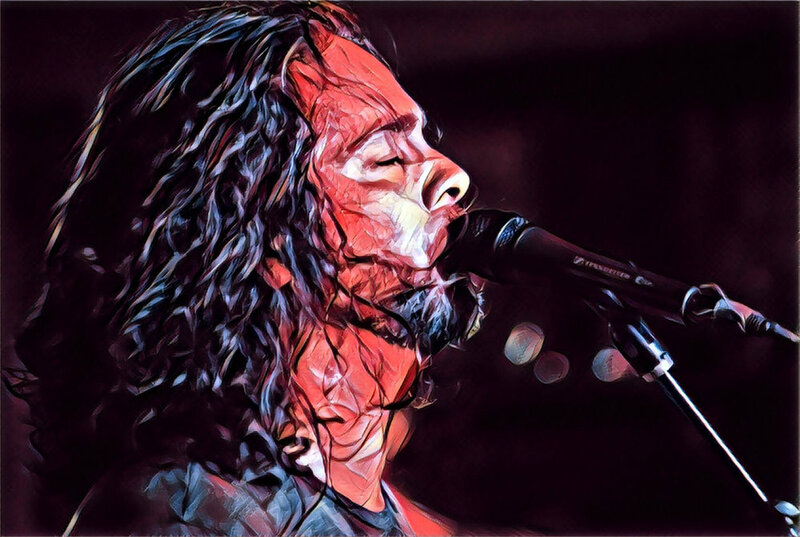 Gary can be found playing with his project, The Dusty Ramblers and Ryan continues to support a number of other local rock greats behind the stage so, you will be sure to catch him at a number of shows around town. We wish them both the best as they were a big part of evolving YM into the next phase! Currently, the promise exists to take production to Los Angeles. The hope is to be in the studio sometime before the end of the year while writing and development of songs continues remotely with the producer. Evolution is always a bittersweet thing when it involves the loss of pieces in order to make room for growth, opportunity and promise. While YM may look a little different on the other side of this phase, know that the even though it may not seem like there is movement externally, rest assured that there is! There are many working behind the scenes to ensure that YM emerges in an almost unimaginable way--that is their promise to you and the dreams of those closest to this. Transformation is messy, externally quiet, sometime hurts a bit and always results in something greater than what existed before. YM's intention is to transform, not into something unrecognizable, but something that has broader impact and feeds the souls of all it touches. Stay tuned for updates about production of new songs, road trips to LA and introductions to the expanding YM team. See you soon!